You are here: Home / Blog / Look in my fridge! I am fascinated by what other people eat. I am always interested what people have had for lunch, or what they are planning on having for dinner. Food is the one thing that unites us all. I also have a bit of a fascination with looking in fridges. Just ask my mum. Anytime I go back home for a visit, as soon as I arrive I am looking in the fridge. It’s not even because I am hungry – I am just interested to see what is in there, so I know what I could be eating should I be hungry. I am also just interested in how the contents of other people’s fridges differ to my own. Reading this back….it does sound a bit weird. 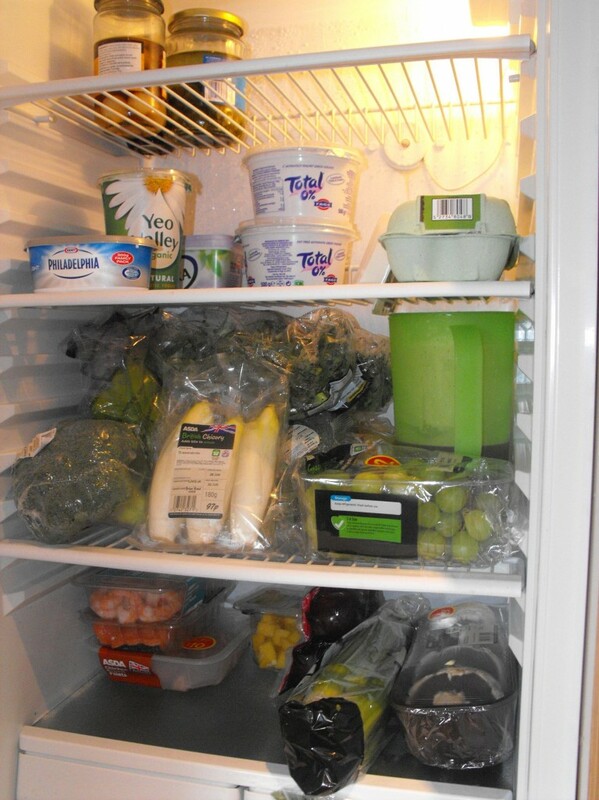 But, anyway, I had a request to do a blog so people could see what is in my fridge on a random day, which is today. Nothing particularly exciting, but nutritious all the same! 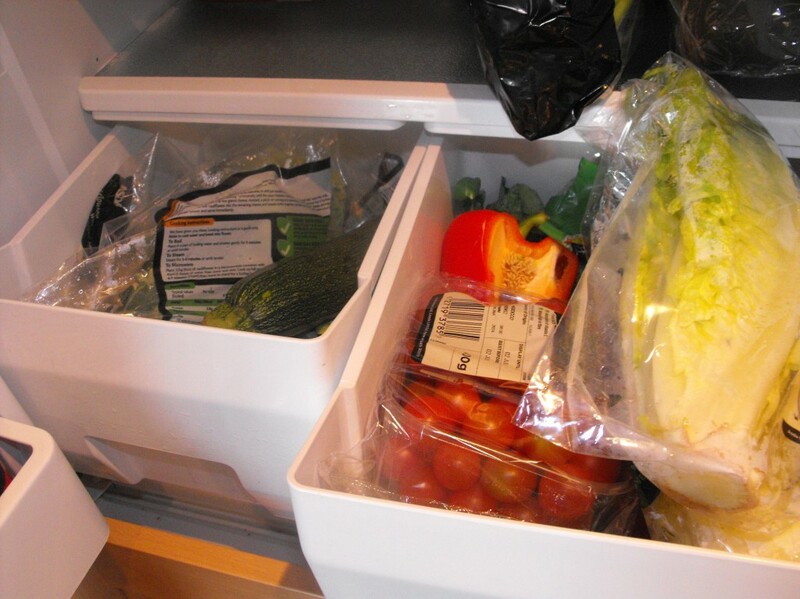 What one item is always in your fridge? In our house, it is yogurt and eggs. – Brocolli, Spinach, Kale, Chicory, Green grapes and a jug of iced green tea. – Cherry tomatoes, lettuce, cucumber, red pepper and herbs.